Matthew Atchison graduated in 2005 from Creighton University with a History degree. He is now an independent financial advisor in Omaha with Raymond James. His wife, also a Creighton grad, is a nurse practitioner at Children’s Hospital and they have two children. Upon graduation Atchison decided to continue as a sales manager in the company he interned with as an undergrad student. Atchison worked a total of 10 years with the company (2002-2012) that trained and developed entrepreneurs. He was then presented with the opportunity to join one of the sister companies and open his own investment practice in Omaha. “It’s been a real joy and my experience at Creighton with developing relationships and serving others has been my central focus along the way,” says Atchison. Atchison is excited to be involved in a number of organizations in Omaha, predominately O! Financially Fit, an organization he established to help guide families in Omaha toward achieving and maintaining financial wellness. Kali Forbes den Heijer is the Program Coordinator at the Center for International Development at the Harvard Kennedy School where she provides support for grant proposals and financial reporting and human resources support for Research Fellows. Kali previously worked as a Program Manager and Finance Director at WorldTeach, an international education non-profit, sending volunteers to teach in developing countries. She also taught English for more than two years in China, helped design teacher training for secondary school teachers in rural Guatemala, and worked at a law firm in New Orleans. Kali has volunteered as the Communications Director for the small education non-profit Afghan Scholars Initiative, bringing Afghan high school students to study in the U.S. Kali received her Bachelor of Arts in History from Creighton University and her Master of Arts in Law and Diplomacy from the Fletcher School at Tufts University. Photograph with Professor Richard Pipes, a pioneer of Russian history and President Reagan's advisor on the Soviet Union and Eastern Europe (Washington, DC, 2011). Filip Mazurczak graduated with an MA in International Relations from the George Washington University in 2013. During his graduate work, he interned for his Congresswoman and for several think tanks. Currently, he works mostly as a freelance translator and journalist. His work has appeared in First Things, the National Catholic Register, Katolicki Miesięcznik List, Eurozine, and other venues. He serves on the editorial board of the European Conservative, a biannual journal based in Vienna. Currently, he is translating Polish-Jewish writer Leopold Tyrmand’s novel Filip into English in cooperation with the author’s son. Filip is a war story like no other, the tale of the international staff of Frankfurt’s most luxurious hotel during World War II, where Allied air raids, the threat of being denounced and news from the front are the background to romances, national rivalries, jazz clubs, and youthful adventures. William Shakespeare famously wrote, "What's past is prologue" in his play The Tempest to describe the irony of previous events and their role in shaping current or future affairs. Having an understanding and appreciation of history has always been important to Renteria, from a cultural perspective and as a person looking to make a positive impact in the world. Studying History at Creighton University provided him with a well-rounded set of critical reasoning and analytical writing skills he relies upon each day. 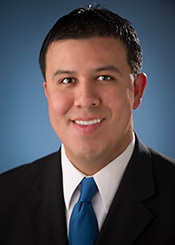 Renteria’s professional experiences since leaving Creighton have included classroom teaching, writing for the Smithsonian Institute, implementing programs at the Library of Congress, developing critical public relations messaging, and shaping and advancing key policy measures in coordination with Congress and the White House. Each of these tremendous opportunities has come with great responsibility and requires utilization of the big-picture thinking and long-term vision learned as a history major at Creighton. Renteria is extremely grateful to the faculty of the History Department and owes much of his access to opportunities and post-college success to being a History major at Creighton. Renteria currently works in the areas of Government Affairs and Public Policy on behalf of tribal governments and Native American communities at the federal level. Jillian (Liesemeyer) Roger is currently the Middle School Social Studies teacher at St. Cecilia Cathedral Grade School in Omaha, NE. After graduating from Creighton University with degrees in History and American Studies in 2009, she joined the Magis Catholic Teaching Corps. This post-grad service program sent her to teach Social Studies in Spalding, Nebraska. Following her two years of service and Master’s Degree in Education, she attended the University of Kansas to begin her graduate studies in History. One year later she returned to Omaha to begin teaching at St. Cecilia’s. She is currently finishing her Master’s in History at the University of Nebraska, Omaha where she will begin her thesis on women’s involvement in the Trans-Mississippi and International Exposition held in Omaha, NE in 1898. After Alexander Sniffen graduated from Creighton with his degree in History, he went directly into graduate school in Cooperstown, New York. Here, Sniffen enrolled in the Cooperstown Graduate Program, the premier program for museum studies in the United States. As a village of 1,200, Cooperstown was an adjustment for Sniffen, but he continues to remain busy during the week by working on various projects and schoolwork. In 2015, an exhibit he has focused on for several months will be opening at the Museum at Bethel Woods. Next year, Sniffen will be continuing his second year in the Cooperstown Graduate Program, then pursuing the museum field as an exhibit developer, doing research and writing labels and text for exhibits in museums, science centers, and other institutions. Britni (Thompson) Summers, originally from Flandreau, South Dakota, graduated with a B.A. in History from Creighton University in 2007. She credits Creighton?s history department for developing her analytical and writing skills, which have been essential to her accomplishments. After graduation, she worked as an AmeriCorps volunteer in her home state and took a position as librarian for a K-8 school in Porcupine, South Dakota on the Pine Ridge Reservation. She also taught library studies, led Drama Club, and drove a school bus. After working for AmeriCorps, she worked in both the financial and environmental services industries in South Dakota. These industries are heavily regulated by administrative agencies such as the Consumer Financial Protection Bureau and the Environmental Protection Agency, and she became passionate about regulatory compliance. Summers currently resides in Sioux Falls, South Dakota with her husband and son. She is a first year law school student at the University of South Dakota School of Law and plans to pursue her passion for Native American advocacy and regulatory compliance after graduation. This summer, she will complete an externship with the first female to serve as a federal district judge in South Dakota. Isabelle Squires graduated from Creighton with a B.A. in History in the spring of 2013. She decided to take her interest in history to the next level and applied to graduate school for the following academic year. Northern Illinois University offered Squires a Foreign Language Area Studies (FLAS) Fellowship in Tagalog for two consecutive years through the Center of Southeast Asian Studies. This award included free tuition and a monthly stipend. In the summer of 2014 she received a summer FLAS grant, which took her to the Philippines where she spent the summer studying language, conducting thesis research, and traveling around the country enjoying new experiences, people, and places. Squires will graduate from the Master’s program in History with a primary focus in Asian History, secondary focus on U.S. History, and a graduate concentration in Southeast Asian studies in May 2015. Claire Wolnisty earned a degree in history from Creighton University in the spring of 2010. Building on skills learned in Creighton’s Writing for Publication class and the Summer Undergraduate Research Fellowship, she earned her MA and PhD in American history from the University of Kansas in 2012 and 2016 respectively. The interdisciplinary emphasis of history courses at Creighton prepared her to be an instructor for the University of Kansas’ Department of History and the Department of Western Civilization, as well as a graduate research fellow-in-residence at The Hall Center for the Humanities, the interdisciplinary research center at the University of Kansas. The Public History Internship at Creighton inspired her to continue work with public history projects, such as the Kansas City Public Library's "Civil War on the Western Border" digital humanities project and The West Texas Collection at Angelo State University. Claire Wolnisty is currently an assistant professor of history at Angelo State University where she teaches United States history survey classes, Mexican American history, Texas history, and the United States Civil War Era. She writes on United States southern-Latin American networks during the Civil War Era and now uses sources initially highlighted by Creighton’s history faculty in her own classrooms.